7 Google’s Services To Advance Your Salon Business and Reach More Customers – Do you want your salon sales to increase? To stay ahead of the increasingly tight salon competition, you need to take strategic steps. There are a variety of ways that you can choose. But nowadays, what proves to be the most effective way is to use Google’s services. As we all know, Google is one of the world's leading information technology company. With its famous search engine that has grown tremendously than before, Google has added so many interesting features. The services of Google are integrated with each other and a very high level of connectivity. That's why, you need to use Google's services to reach more consumers coming to your beauty salon. What are some useful Google's services to support your salon business? The various Google’s services mostly can be used for free. Thus, you do not have to worry about spending a lot of money to run a promotional program. For more details, let's consider some of Google's services that can support the success of your salon business below. As a salon owner, you surely want your salon to be visited by more customers. The number of people who visit your salon can increase the generated income, impacting also on business continuity. The most practical and easy way to increase salon's business reach is by taking advantage of Google My Business. By using Google My Business, you can create a salon's business profile equipped with other support facilities such as photo galleries and consumer reviews. Having a business profile helps customers find your salon easily. To add a salon's business profile you need to register by visiting this page https://www.google.com/business. On that page, you can start adding your business profiles by filling the salon’s name along with its full address. You should also verify the inserted salon’s address. If the salon address is successfully verified, then you can take full advantage of the available features optimally. Not only the salon’s address, you can also add salon’s operational hours, salon’s profile, and the active contact number. With this salon’s business profile you are ready to increase your online presence. To further attract visitors coming to the salon, you can add some photos that make professional impression. There is a wide selection of photo categories that can be uploaded, ie from logo display, and the front cover. This front cover is the main identity of your salon and will appear on Google search pages and maps. Plus, you can also upload photos of the interior, exterior, team, at work, and video. One that you can do to interact with customers is through the review feature. Your salon customers can provide reviews and ratings based on their personal experiences or impressions. The role of testimonials can undeniably determine the good or bad performance of staff and salon services. Through this review feature anyway, you can respond directly to comments of customers. Your salon does not have a website yet? Take it easy, Google My Business allows you to create effortlessly your own salon website. The available features in Google My Business can be managed easily, even for those who are not familiar with web programming. There are several website themes that can be selected with simple look yet professional. Once all the settings are done you can publish it online, and you already have your own salon website. Through this very useful feature, you can see statistical data and analyze it to get a deeper insight. The obtained data is very important to know where the customer came from. In addition, you can learn how they find your salon, how many times the salon’s profile is viewed, and how many times the number of clicks and phone calls. The most attention-grabbing photos can be also seen from this exciting feature. Do you want your salon easier to find on search engines? Google AdWords is the answer. Through Google AdWords you can advertise locally and globally and reach audiences that are in a certain region, city, or distance. So the prospect you are looking for is more specific and well targeted. There are many other benefits you can get from Google AdWords. Let's say you'll get ad credits for a certain amount of spend. How Google AdWords work is fairly easy with maximum results. The first step, you need to explain the offered salon’s products or services and determine the amount of budget you spend for a month. And, your ad is ready to run. When people type a particular keyword, they'll see your salon ad appearing on the top or bottom of the search page. Interestingly, you will only be charged if someone clicks on your ad to visit your website or business profile page. The simplified version of Google AdWords is Google AdWords Express. The workings between the two PPC (Pay Per Click) platforms are arguably the same. It's just the options and settings that are different. Google AdWords Express is well suited for small to medium sized businesses with simpler features that can be run by even laypeople. For more time-saving advertising management, Google AdWords Express is the right choice. E-mail from Google is often referred to as Gmail that can be used by anyone for free. With Gmail, you can get useful facilities to help doing work and business smoothly. There, you can do online correspondence by sending or receiving e-mail. Interestingly, you can open several Gmail accounts at the same time and switch from one account to another. However, Gmail is not only limited to mailing services only. Gmail is indispensable especially when you need to download the app on Google Playstore on your phone. In addition, Gmail integrates with other services like Google Drive, Google Photos, Google Plus, Google Calendar or YouTube. You may be curious, what exactly is the most sought after by consumers? Your curiosity will be answered once you use Google Keyword Planner. This facility is purposely designed to research important keywords that people search for as they browse Google’s search engine. In addition, you can also find out how many monthly average searches and competitive rates start from, low, medium, to high level. Google Keyword Planner is best suited for those who want to promote their products or services through Google AdWords by targeting specific keywords. Often the advertisers forget this crucially important step. By using Google Keyword Planner, your digital advertising efforts has a bigger opportunity to achieve the determined target marketing. 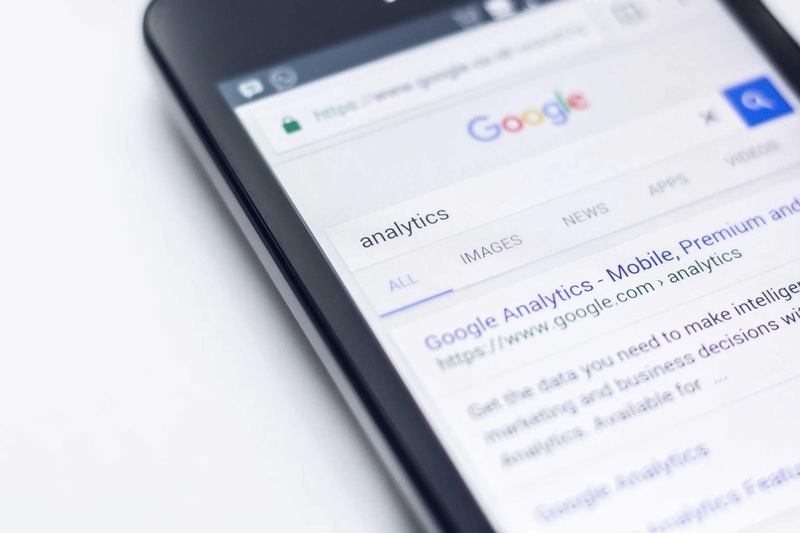 Statistical data that can be obtained through Google Analtytics is the most important component in evaluating your salon marketing and advertising programs. With that statistical data, you can track website visitors or the running Google AdWords ads. The important information that you can gain through Google Analytics for example where visitors are from, what keywords are typed, to the demographic profiles of visitors. Visitor monitoring through Google Analytics is important because the information you will obtain is very rich. Through the analysis of existing statistical data, you can evaluate the advertising program that is able to provide optimal results and then plan the next advertising program to be more optimal. In addition, you can get information about what popular contents that are most liked by visitors. So, you can design a freshly new content that is more effective in drawing people's attention. Google's social media offers a variety of interesting benefits. Some Google Plus’ terms that you need to understand are: Circles, Streams, Hangouts, and Profiles. Google Plus itself is a social media platform that allows for integration and connectivity with other Google services. Through Google+ Circles, you can organize existing social contacts within Google+. You can put anyone into a circle and share the things that interest you. You can divide your social circle into desired categories: Friends, Family, Contacts, and Following. In addition, there are also Hangouts where you can chat directly through video conference with people in your circles. There's also a Discovery feature to explore some topics you love. This most popular video-sharing platform can be a powerful marketing tool for your salon. Through YouTube, you can share informative videos that can add viewers’ insights. Currently, making the video is not too difficult because many versions of smartphone are equipped with video recording feature. Your videos related to the salon should also include a soothing music or sound that explains the salon itself. For example, a video that shows the atmosphere of the salon room complete with its amenities. You can also add footage about salon services that the staff is providing to customers. That way, the prospective customers will have a clearer picture when viewing the video and at the same time be entertained as well.